Entegral is a SaaS (Software as a Service) company providing end-to-end solutions for the real estate industry. What’s unique is that we started the company up in 2004 with the goal of being a SaaS provider. Servicing clients remotely seemed like the right thing to do: we minimised our operational expenses by not having to travel to do training, installation or updates. Our competitors looked in horror and disbelieve with some even blatantly publishing the disadvantages of online solutions on their website “just imagine the cost of having to stay online all of the time”. As you know, things rapidly changed in the SA ISP arena, and 4MB ADSL, 3G and HSDPA internet connectivity soon became reality. It changed the landscape and opened the floodgates for estate agents to join what we call “the online real estate revolution”. Today, agents realise that installed software and huge license and training fees - just like print advertising, is dead. Top agents want to be online, and when a new mandate is signed, it has to reach the market substantially faster than any print media can do. Agents closing deals an hour or two after the listing was published online is not strange news to us. What’s great is that our first clients shared this SaaS vision with us, they include RealNet and many RE/MAX franchise offices. Like any other young IT company, we have a vision to ‘take over the world’, just like Google did. Our goal for the next 12 months include a multitude of exiting projects that will be a first for the real estate industry. 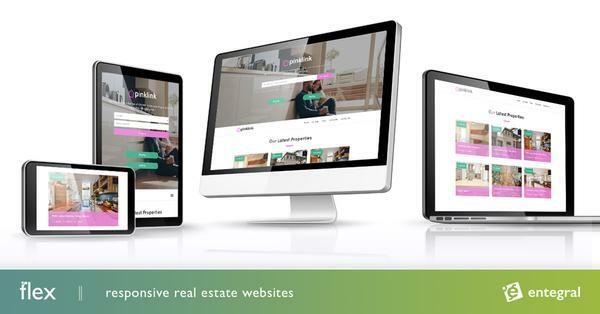 This includes the launch of the new MyProperty website (we hope to double our visitor stats in 12 months with this site), and some major upgrades to the OMS (Office Management System). One of our goals is also to double our current client base with the next 12 months. Our Nambia operation (powered by MyProperty Namibia as portal) is having a bumper month. So is our South African operation with new clients signing up on a daily basis. We’ve never been so busy, and 6 months ago we could not have imagined the multitude of opportunities that would present itself today - including Entegral’s biggest deal ever (have to keep mum about it for now). One of the ‘drawbacks’ of being a SaaS provider is the hardware infrastructure costs for providing an online software service. Fine if you are servicing a small client base, but if you are servicing thousands of estate agents like us, you need pretty decent machinery to keep the momentum going 24 hours a day (like having to fork out over R100k for an additional server!). Your software also has to perform like a new Ferrari engine, data has to be secure, and your support systems and people need to cope with any emergency in record time. So SaaS presents many challenges over traditional packaged systems, but for Entegral, as an exclusive SaaS provider, it opens up opportunities.